Participants will learn about legal requirements and necessary components to develop quality IEPs reflecting transition services. Participants will learn more about Pre-Employment Transition Services (Pre-ETS), what they are and how to access these services for their students. There will also be an opportunity to hear about Regional Job Club and the success around the state. DD/SDRI Brokerage / Vocational Rehab. Participants will learn about the services offered by Washington County Developmental Disabilities Program, Self-Determination Resources, Inc. (SDRI) Brokerage Services, and Vocational Rehabilitation. In addition, they will receive information on who is eligible to receive services and how to access them. Dr. Dawn Rowe will be presenting a workshop on transition for students with brain injury as part of a day of transition training for special educators on February 19 at NWRESD. Dr. Rowe is a Research Associate Professor in the College of Education at the University of Oregon. She has taught several university courses including Transition Education and Services, School to Careers, Research Methods, and Life Skills Instruction. 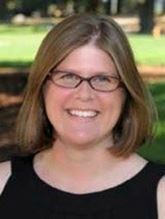 Her current research interests include self-determination instruction, parent and family involvement in Special Education, Interagency Collaboration, and transition from school to adult life for students with disabilities. She served as a teacher and transition specialist for youth with disabilities in the public school system for 12 years. You can choose to attend the morning session, afternoon session, or both--your choice.